HBO has revealed how many minutes remain of the Game of Thrones series. 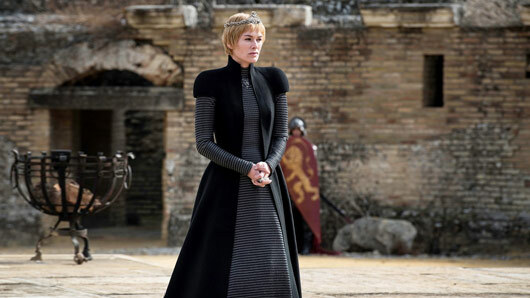 After what feels like the longest wait ever, Game of Thrones finally returns to HBO and Sky Atlantic for its thrilling climax in April. As previously reported, the series comprises six episodes of varying lengths – with the final two episodes weighing in at 80 minutes of screentime each. That’s right – the final two episodes of the behemoth fantasy saga will be 80 minutes each. Slightly shorter is the fourth episode, weighing in at 78 minutes. Episodes one, two and three will be closer to what we’re used to – 54 minutes, 58 minutes and 60 minutes apiece. The episodes don’t yet have titles, but series eight does have a final trailer. Premiering last week, the Game of Thrones season eight trailer focused on voiceovers from Arya, Bran, Jon and Jaime and teased a final stand-off between the living and the dead. Game of Thrones returns to Sky Atlantic on April 15 at 2am and 9pm.